The education sector has not witnessed such turbulence as in recent times, from the continuing growth of schools’ autonomy, through fragmentation of schools’ constitutional arrangements, ever-increasing accountability measures, reductions in curriculum provision, difficulties in workforce recruitment, retention and downward financial pressures on schools and families. The cumulative impacts on music education in schools, and especially in the work of music education organisations, have been wide-ranging and continue to provide a number of challenges. 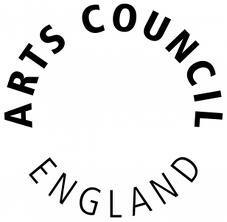 Music Mark, supported by Arts Council England, has commissioned this guide by Nigel M Taylor particularly for the lead organisations of Music Education Hubs, and it is hoped it may also be helpful for a range of delivery partners. It is part of a larger programme of training and support, focused on organisational resilience, and especially financial resilience, to enable colleagues to consider how they might meet the challenges borne of this turbulence now and in the future.